During a conversation with another parent at the school gate, I mentioned we took the kids to a Maker Faire over the weekend. Her response was... "A Maker Faire...what is that?" 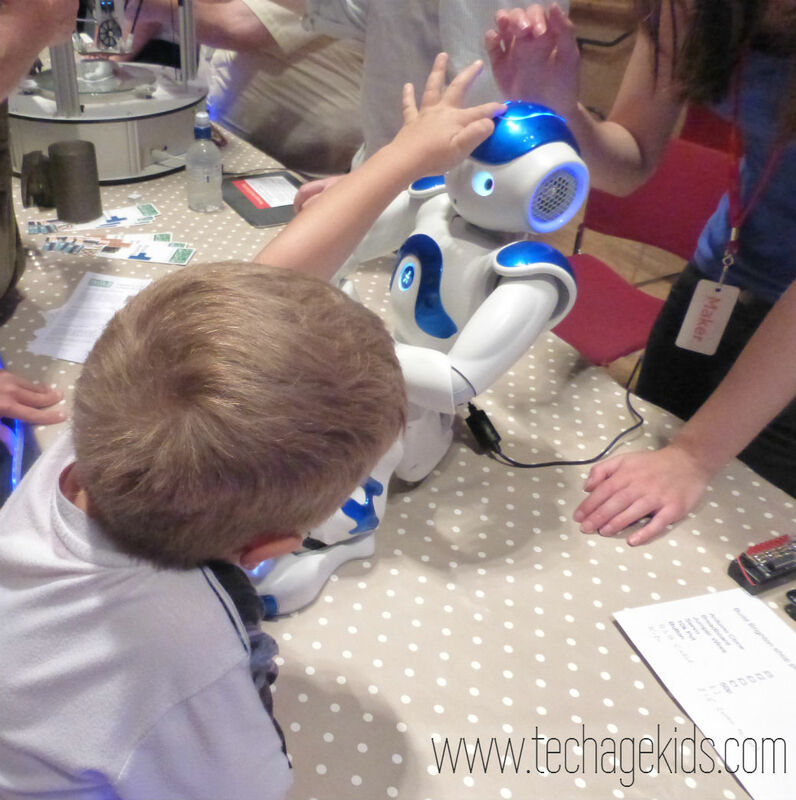 Perhaps there are more people unaware what a cool activity a Maker Faire is with kids. 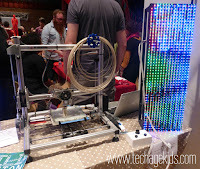 Simply a Maker Faire is an event where makers, DIY enthusiasts and companies bring along their projects, kits and wares to show off to you, the participants. 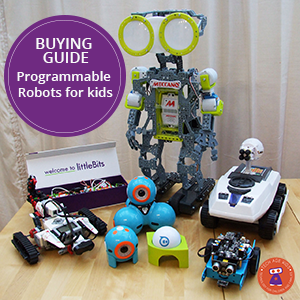 Every Maker Faire is unique in its offering, but you are guaranteed to try your hand at a variety of activities and depart with some cash spent on cool maker kits or gadgets. We took our two kids, 4 and 7 year olds. There's definitely not a lack of things to do and explore during the event. 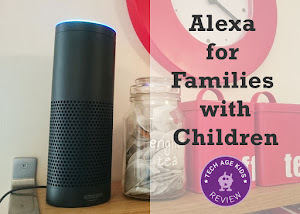 We played a pixel chasing game, tried out soldering, made music using conductive paint, sketched around our bodies using a sketch-a-graph, put together a 3D-printed marble run, made fridge magnets with squishy air drying clay and so much more. So you ask, what kind of things happen at a maker faire? Well, you could meet a maker, learn a skill, join a workshop, buy gadgets, it really depends on the maker faire. 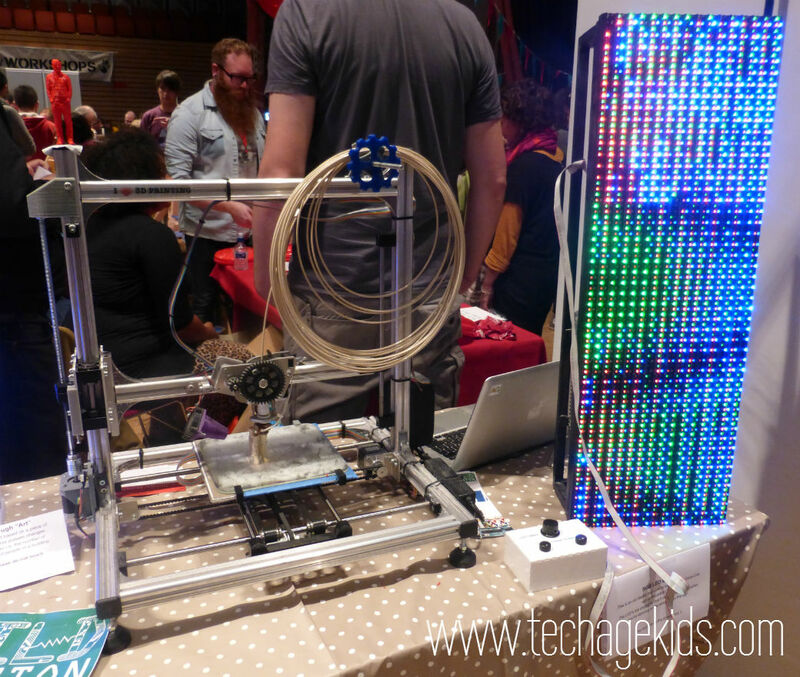 A maker faire is the perfect place for makers and DIY enthusiasts to show off their projects. It's interesting to talk to makers about how they built their project and sometimes you can even have a play with their gadget. 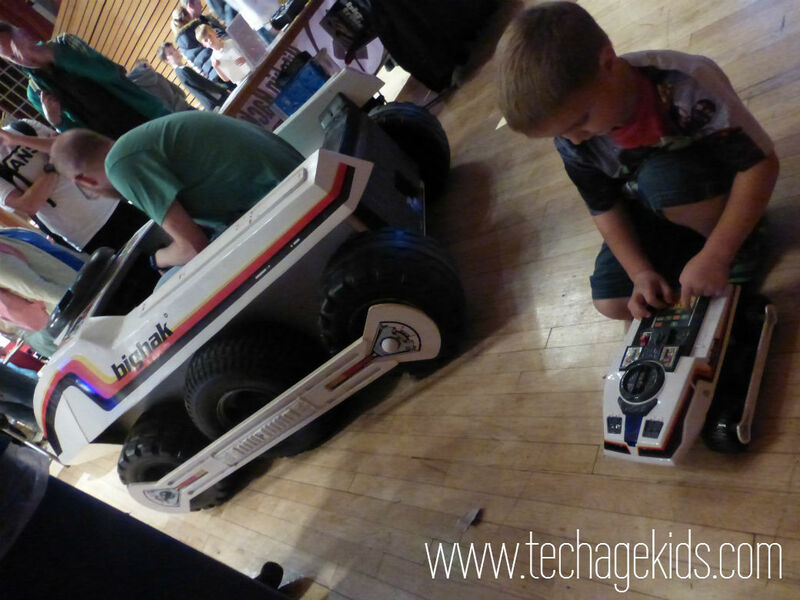 We got to sit in a real BigTrak made by a maker from Hitchin Hackspace. We also met a maker who made his own smartwatch and 3D printed a case for it, very similar to the recent O Watch I wrote about on Kickstarter. 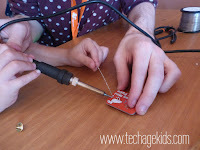 We learnt a new skill at the maker faire this year - how to solder with Ragworm. For a very nominal fee my boys (and me) got to make a flashing Maker Faire badge. Ragworm set up stations with one-to-one instructors teaching kids to solder. I was so impressed my 4 year old was able to take part and actually made his own flashing LED Brighton Mini Maker Faire badge. Although we had to wait a while in a queue (a tough thing to do with small kids with no patience) it was a fantastic activity with my kids. I even managed to solder one myself, shaky hands and all. My boys were a little too young for the organised workshops, so Tracy's kids had a go. (Tracy here!) My two boys aged 7 and nearly 9 attended two fab workshops at Brighton Maker Faire. First up was a LEGO WeDo workshop. LEGO WeDo is fab but they don't have it at their school (I'm working on that!). 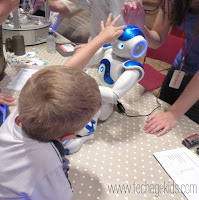 The workshop was really well run by Curiosity Hub and both boys were paired up with children their own age. They also attended a Make it with Tech session in which they used the fantastic Crumble boards to motorise a craft contraption and add LEDs to it. They both did really well and one chose to try a light sensor while the other chose an RGB Sparkle crumb. 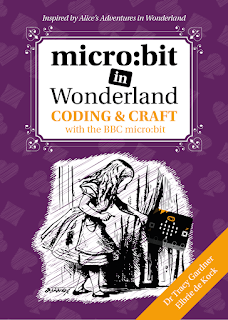 Craft, LEGO and coding are my kids favourite activities so they got really lucky here. If your kids are like mine, you won't walk away from a maker faire without some kind of gadget in hand. Often the suppliers / makers will offer special faire discounts, so definitely worth bringing cash along and build your arsenal of maker stuff. 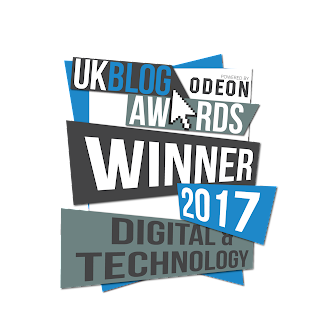 You will be able to see live demos of tech toys and gadgets. Some stands ran workshops with their products which you could then purchase and try again at home. There was really something for everyone's pocket so no need to feel you have to break the bank to get something for the kids. We absolutely loved the day and were exhausted when we finally arrived home. Thank you Brighton Maker Faire for another fantastic event. If you've never been to a Maker Faire, we really recommend you give it a try. 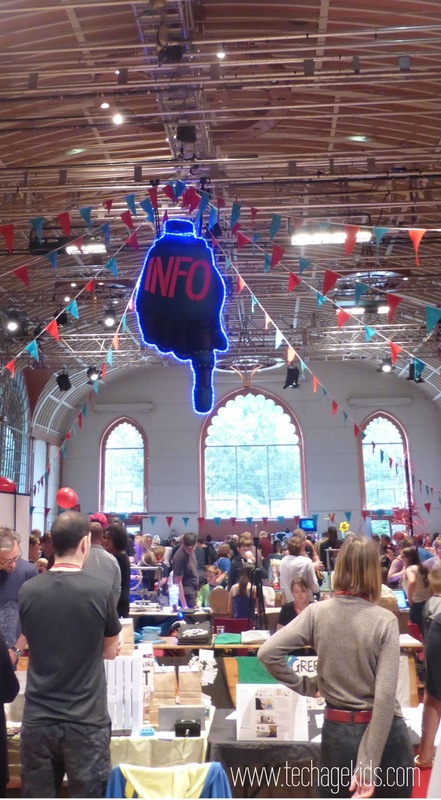 Find a faire in your area on the Maker Faire Website and read our guide to survive the day. Share below your Maker Faire experiences.